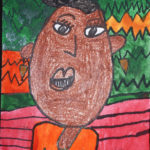 AKRON, OH— The new show opening Feb. 10 in Summit Artspace’s Transition Gallery will explore art through the eyes of students who attend Akron’s Emmanuel Christian Academy. 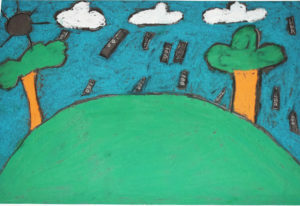 “A Movement in Art” includes the work of children 18 months old to eighth graders. 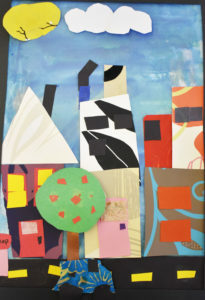 The public is welcome to a free reception to meet the young artists on Friday, Feb. 10, 6 to 8 p.m.
Emmanuel Christian art staff guide students to implement various art techniques, exploring the expression of lines, shapes and colors. The show will run until March 4. Listen to art teacher Dara Harper and her students talk about their art and the show on WAKR 1590 “Center Talks” on Feb. 5. Click here to link to the audio file. Emmanuel Christian Academy is a private, chartered Christian school accredited by the State of Ohio as an elementary school. The mission of Emmanuel Christian Academy is to provide instruction in God’s Word and conventional instruction that meets or exceeds state standards for all who desire a biblical foundation. Emmanuel’s administration, faculty and staff believe they are called to “educate children in the spirit of excellence” and to be positive role models for students so they can become productive citizens in their communities. The exhibition is free and open to the public. Gallery hours are Thursdays and Fridays, noon-7 p.m., and Saturdays, noon-5 p.m. The show is open Saturday, March 4, noon-9 p.m. during regular hours and for Artwalk in downtown Akron. Summit Artspace is located at 140 E. Market St., Akron.